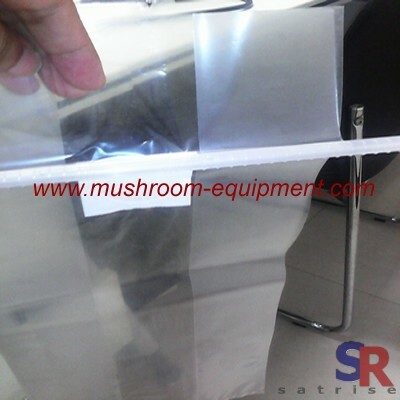 completely new material mushroom plastic bags manufacturers,completely new material mushroom plastic bags exporters,completely new material mushroom plastic bags suppliers,completely new material mushroom plastic bags OEM service. Use the mushroom cultivation bag to cultivate and produce the edible fungus has become a kind of production mode of edible fungus bag cultivation in recent years. According to the different mushroom growth required nutrition,the mushroom cultivation bag has different specification.We have mushroom cultivation bags with different specification,welcome to our company to order the bags according to your requirement. As usual, 250*140*500*0.08mm bag 1000pcs , total weight 29.4kg.We often pack 500pcs / carton. Package weight: 31kg. If we ship the 1000pcs bag to your door by express, the express fee will be more than bag cost. We advise you have 20pcs for test. If ok, you add order quantity and we ship by sea.